Figures from broadcasting, the arts, the civil service and education will receive honorary degrees at the University of Stirling’s Graduation ceremonies this month. Sally Magnusson, John Byrne, Sir John Elvidge and Kevin Clarke will join more than 1000 Stirling graduands to receive their awards at ceremonies on Wednesday 24 and Thursday 25 June. 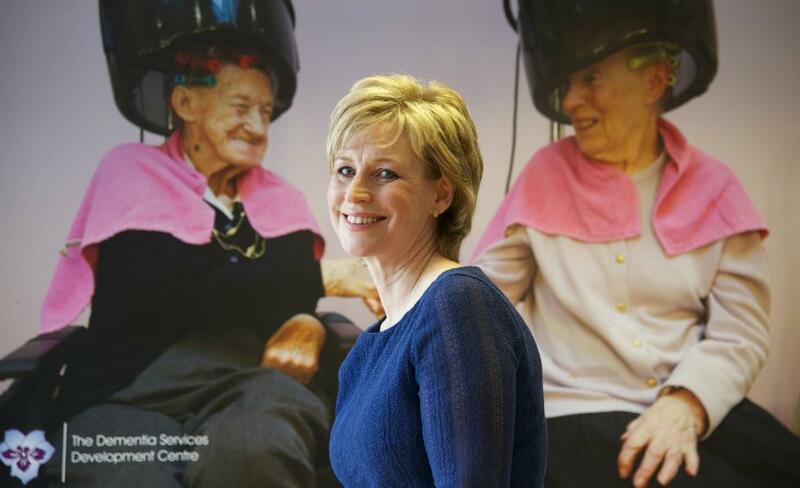 Broadcaster and writer Sally Magnusson will be recognised for her outstanding contribution to Scottish life and her support of the University’s Dementia Services Development Centre. Daughter of the broadcaster and writer Magnus Magnusson and journalist Mamie Baird, she began her career in print journalism before moving into broadcast media. Among her many TV roles, she presented BBC’s ‘Breakfast Time’ in the 1980s. She is a long-standing presenter of 'Reporting Scotland' and 'Songs of Praise' and has also written a number of well-received books. In 2012, she helped to launch the University of Stirling's Dementia Services Development Centre’s virtual care home and last year returned to the Centre to launch her book 'Where Memories Go', which chronicles her late mother’s dementia. Artist and playwright John Byrne will become a Doctor of the University in recognition of his distinction in the arts. Best known for his 1978 play 'The Slab Boys' and multi-BAFTA award-winning 1987 TV series 'Tutti Frutti', he has also received acclaim as a painter and illustrator, with many of his works held in the Scottish National Portrait Gallery. He has also designed record covers for The Beatles, Billy Connolly and Gerry Rafferty. Sir John Elvidge spent seven years as Permanent Secretary to the Scottish Government from 2003 and 2010, having previously worked in the Cabinet Office and the Scottish Office. Sir John will be recognised for his outstanding contribution to the wellbeing of the people of Scotland and his dedication to the Modernisation of Public Services. Kevin Clarke, a Stirling philosophy graduate, returned to Stirling to serve as University Secretary for more than 17 years before retiring in 2012. He will be honoured in recognition of his outstanding contribution and service to the University of Stirling and to the Scottish and United Kingdom Higher Education sector. The ceremonies will celebrate the achievements of graduating students from the Schools of Education, Arts and Humanities, Sport, Applied Social Science, Health Sciences, Natural Sciences and the Stirling Management School. Media enquiries to: David Tripp, Communications Officer, on 01786 466 687 or david.tripp@stir.ac.uk. The Graduation ceremonies will be held in the Gannochy National Tennis Centre at the University of Stirling at 10am and 2.30pm on Wednesday 24 June, and 11am on Thursday 25 June. To register interest in media opportunities on the above dates, please contact David Tripp, Communications Officer, on 01786 466 687 or email david.tripp@stir.ac.uk. The University of Stirling is ranked fifth in Scotland and 40th in the UK for research intensity in the 2014 Research Excellence Framework. Stirling is committed to carrying out research which has a positive impact on communities across the globe - addressing real issues, providing solutions and helping to shape society. Interdisciplinary in its approach, Stirling’s research informs its teaching curriculum and facilitates opportunities for knowledge exchange and collaboration between staff, students, industry partners and the wider community. At almost 50 years young, Stirling retains a pioneering spirit and a passion for innovation. Its scenic central Scotland campus - complete with a loch, castle and golf course - is home to more than 11,000 students and 1400 staff representing 115 nationalities. This includes an ever-expanding base for postgraduate study.